What To Look For When Hiring a Private Detective | LA Intelligence, Inc. Unless you are an insurance agent or a lawyer, hiring a private detective is not a typical course of action for the average individual. That being said, there may times and situations where you will need the services of a professional private detective. These can include serving legal documents to those who are difficult to find or maybe you suspect your spouse or partner may be cheating on you. No matter the reason, having a good, experienced private investigator on your side will no doubt affect the outcome of your scenario. What Is a Private Detective Anyway? So, what officially constitutes a private detective? According to Merriam-Webster, a private detective, also referred to as a private investigator, private eye or even PI, is a person that is not a member of a police force but is licensed to do detective work (such as investigation of suspected wrongdoing or searching for missing persons). They are typically hired by insurance agencies, law firms, corporations, private individuals, or other entities to gather intelligence and confirm or disprove information. Each state has their own requirements for obtaining a private investigators license but one thing that is common with most states is that it is illegal to conduct private investigations without being licensed. Therefore, you will want to make sure that the detective agency you wish to hire is licensed and is in good standing with the state they are licensed in. Pass a two-hour multiple-choice examination covering laws and regulations, terminology, civil and criminal liability, evidence handling, undercover investigations and surveillance. A copy of the Private Investigator Act will be sent to you; and Upon notification that you have passed the examination, you must submit a licensing fee of $175 to the Bureau of Security and Investigative Services. 2. What Do Others Say About Them? If the private detective agency has been in business for any length of time, they very likely have been reviewed by their own customers on Yelp, Google, Facebook or any other similar site that allows consumer reviews. Visit the agency’s profile on each of these sites and discover what people are saying about them. Look for overall positive sentiment in the majority of reviews as well as how “fresh” those reviews are. Keep in mind the old adage, “you can’t make everybody happy all of the time.” You may see a negative review here and there. With these types of reviews, it is important to see how the agency you are looking to hire responds to negative reviews. Do they acknowledge the reviewer’s concerns? Do they put forth their best effort to make things right? 3. What Kind of Experience Do They Have? In most cases, experience goes a long way. If a private detective agency has 10 or more years experience in investigations, it is very likely due to the fact that they know what they are doing and do it well. Otherwise, they wouldn’t last in business. Inquire what kind of education and life experience your investigator has in any particular service area you are looking to hire them for. You may even ask them for details of successful investigations, at least to the point where the investigator is able to keep client confidentiality intact. 4. What Range of Services Do They Offer? Private investigators can offer a range of services which may include investigation an individual, finding a lost person or pet, background checks, surveillance, locating lost objects, investigating insurance fraud, process serving and even investigating actual crimes. Knowing ahead of time what services you might need and whether or not the private detective you are looking to hire has experience in those areas, will help your case to run as smoothly as possible. 5. What Methods Do They Use To Conduct Their Investigations? There is nothing wrong with asking your private detective what methods they will be employing to conduct your investigation. Just like any other profession, there are certain guidelines and ethics that have to be kept. Illegally procured information may not hold up in courts as evidence and that can put you and your investigator in a bad situation. Make sure you are confident that your private detective will be operating within the laws of the state they are licensed in. It is also good to know that your private investigator is utilizing the most current tactics and technology in the field of investigations. 6. What Are Their Policies on Confidentiality? If protecting your confidentiality is important to you, make sure the private detective you are looking to hire has practices in place to keep your case confidential. This can include protecting your identity or even the sensitive information that you supply to the investigator as well as the information they obtain during the investigation process. 7. Are They Easy To Make Contact With? Do they answer the phone when you call? Are they quick to respond to email and/or text inquiries? Are they easy to communicate with? Feeling confident that you can not only reach your investigator when you need to, but that you also clearly understand the investigative process will go a long way in having a good experience when hiring a private detective. 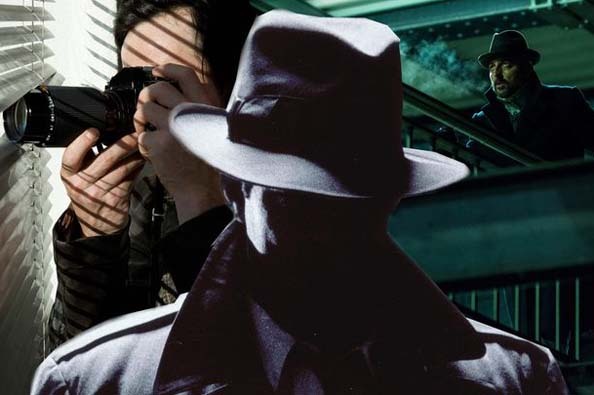 These are just a few things to look for when hiring a private detective. The bottom line is to make sure you are confident that they are reputable, that they have the experience and know-how to get the job done and that you are comfortable with the communication process between the two of you. And if you are seeking a private detective that is licensed in the state of California and has experience dating back to 1990, we would love to talk! Call us at (310) 894-5200 or contact us via email.